In Gao Xiaowu's Rebirth series, he addresses the issue of renewal and awakening of primeval nature, choosing climbers and creepers (plant types) as the base image. He calls upon poetic notions, the portrayal of tranquil forms, exaggeration, metaphors and other techniques to showcase the deconstruction and regeneration of the natural world, attempting to use the beauty of rebirth and renewal to awaken the dreams and visions humans have of the purest beginnings of nature. I'm interested in this 《青蛙》- Frog by Gao Xiao Wu. Please advise availability and price. Thank you. Gao Xiao Wu was born in Sanming, Fujian province, in 1976 and currently lives and works in Beijing. He enrolled in the sculpture department of Xiamen Art Academy before continuing his studies at the Central Academy of Fine Arts, Beijing and graduating in 2004. Basing his work on the lives of ordinary people in the city, as well as an exploration of his own identity, Gao Xiao Wu's work has been shown in solo and prestigious group exhibitions and is included in high-profile art collections worldwide including the White Rabbit Collection, Australia; DBS Group, Singapore; Park Hyatt, Shanghai and the Museum of Modern Art, New York. Gao Xiaowu was born in 1976 in Sanming, Fujian Province and graduated in 1999 from the Department of Sculpture at the Xiamen Academy of Arts and Crafts in Fujian. He then lived in the Xiamen Special Economic Zone for eight and a half years. Unlike other artists, he experienced early exposure to the rapid social transformation, impacts of economic development, disparity between the rich and the poor, and struggles amongst ordinary people. Such changes in the environment and the arduous struggle of life stimulated his observation of the surroundings. 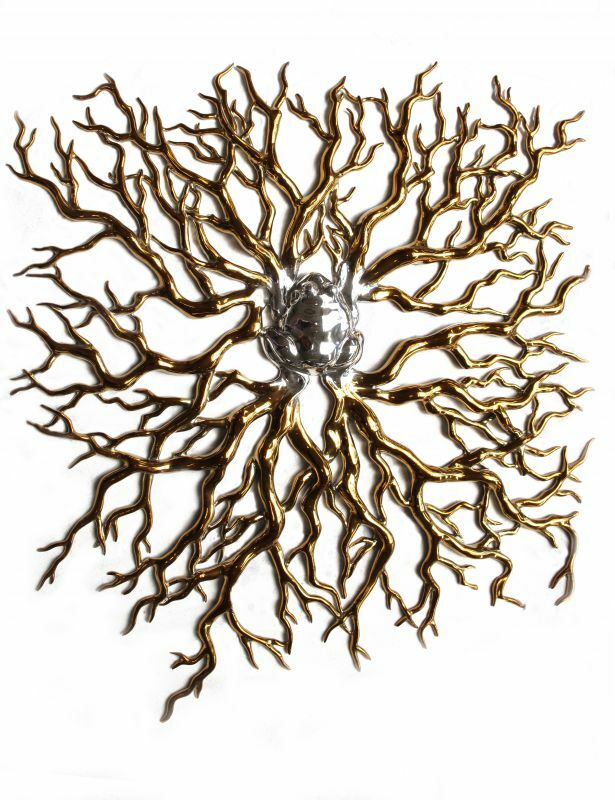 Hence, his inspiration for artistic creation is conveyed through inner emotion, pressure and rigidity. Relocating to Beijing from Fujian was a turning point in Gao Xiaowu's artistic life. In 2004, he graduated from the Department of Sculpture at the Central Academy of Fine Arts and gradually developed a unique style. 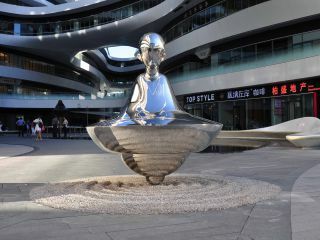 Back in his hometown, Gao was engaged in the creation of public sculptures and other multimedia sculptures, which helped him develop his skills and technique. He became famous in Beijing for his Standard Times series, which illustrated that he saw life through rose-colored spectacles. 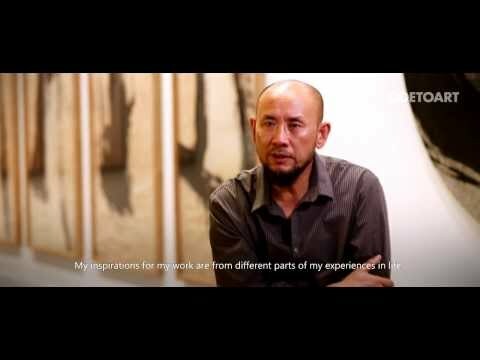 Unlike all the other artists who came to Beijing from other places and struggled to survive, Gao was set apart due to his kindness in helping others, humility and self-awareness. There is a tenacious power and ambitious force within his heart that gives him the support in facing the difficulties that surround him. His distinctive sense of humor is not only revealed in the expression on his face, but also throughout his artwork. His masterpiece, Standard Times, depicts the greeting posture of ingratiation of white-collar employees who are smiling at each other, smiling from ear to ear. It is a sketch created for the people around him. Standard Times is what he considers the "Computer Age" nowadays. Man has experienced the standardized production process of the Industrial Revolution and has now entered a digital age of the microelectronics revolution. Man's thinking has also been formatted. The more developed and modernized a society is, the more restriction it will face due to "standardization": from the standardization of products in the Industrial Revolution to the standardization of human behaviour in the microelectronics revolution. The idea of standardization is spread universally. Even the seemingly noble class of white-collar workers cannot escape the standardization of human behavior. They must also demonstrate standard service behaviour with a servile or obsequious bow and smile. Gao believes that the root cause is the overwhelming restriction present about 'acceptable' behaviour that triggers the pressure in human beings today. His figurative statues illustrate the standard posture and smile, which constitutes his standardized pictorial symbols and facial expressions. It is his pictorial language that affects the hearts of the common people during rapid economic development in China. The City Dreams series attempts to break through the constraints of standardized behavior, in which the body of a pipsqueak expands into a big balloon with a pair of small wings and expressing the standardized smile that is distinctive in Gao's art. He dreams that he can fly high in the sky like an angel. However, in reality, his clumsy body is unwieldy and his little swings can't support his weight. This represents the helplessness of those living in the metropolitan area, who never give up their dreams even if they conflict with reality. Gao writes: "Everyone is born naive and romantic. There is nothing more beautiful in the world than this. Men created civilizations and cities. Meanwhile, we are distancing ourselves from our most beautiful human nature. The dream I had in my childhood when I was in the countryside, was of the city. Then the dream I had dreamt while I was in the city, was of the countryside. I am busy and tired that I live in the real world." From Standard Times to City Dreams to Our Generation, these series of artworks are not only based on the lives of ordinary people living in the city, but also serve as an exploration of his own identity. Although he was born in the 1970s, his artistic creations resemble those who were born in the 1980s. He does not try to express ambitious aspirations that concern the country nor complains about the current situation. Instead, he is more concerned about the happiness and grief in his own everyday life. He is posturing for his own aesthetic view. Our Generation reflects those who were born in the 1980s who were portrayed as being naïve. It plays with symbolic gestures in a way that makes them feel cool and it goes beyond gender and race. In Gao's words: "We are the blog-generation. By speaking several languages, taking various postures, displaying different types of identities and in assorted manners, we are able to develop numerous talents, play international jokes, dream of countless cities, and use the universal slangs "OK! Hello! Bye-bye! Thank you! No!" Our Generation seems to show Gao's late adolescence. He is liberated from the constrained mood of self-mockery, and simply interprets the desire for communication when boys are in the throes of their first love. It is humorous, relaxing and uncritical. 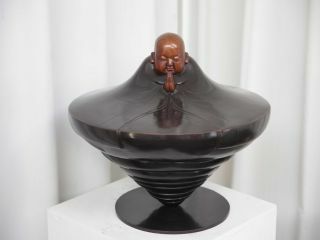 In his 2007 series Fell Asleep, he disclosed the reason why his creation changed: Gao Xiaowu fell in love! He couldn't help laughing out happily, and eventually he married his heroine in the Fell Asleep series. The sleeping position is a metaphor for being able to go beyond the real world, to a pure state without disturbance from worldly pursuits. The Fell Asleep series is a betrothal gift for his dear wife Liu Xiaoying. Gao's aesthetics fall into the generation of comics and cartoons. He is one of the representative sculptors in the new trend of Animamix Aethetics that the author has been working on. His creations avoid political symbols or totems. 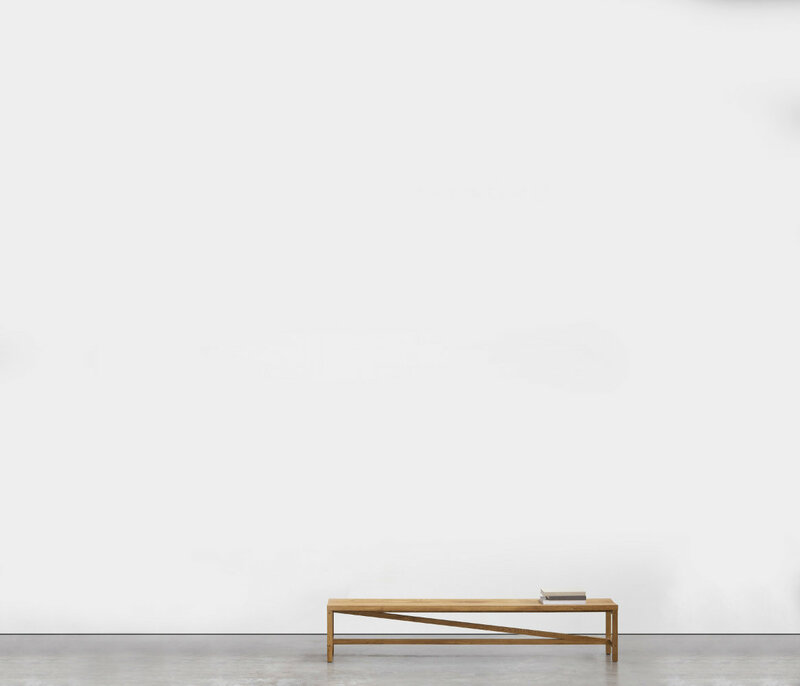 Gao and other artists from the 1980s generation have spontaneously returned to the nature of artistic creation, pursuing their own aesthetic style and expressing interest in content and medium. The international aesthetics they exhibit are different from the generation of Political Pop, which emphasizes Chinese styles through political motifs. 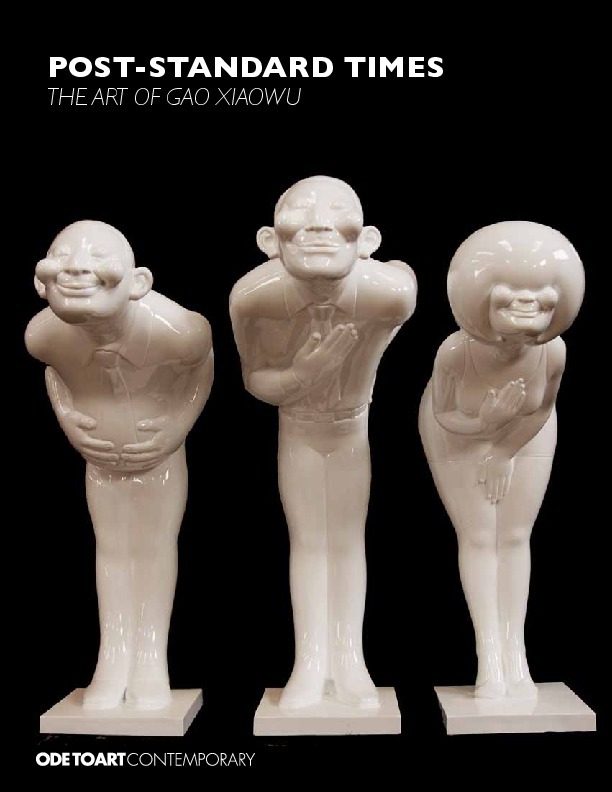 Most artists of the new generation, including Gao Xiaowu, are narcissistic. Influenced by their environment, they change their creations frequently and invent pictorial symbols for themselves and not for the nation or politics. Gao goes beyond his own pictorial symbols from the early Gao-type smile generated by the exaggerated and ordinary people to the most recently released sleeping couple. Aside from creating the essence of the figures, he also records his love story openly by creating sculptures. From the essence of art, we can distinguish "the love of life" from Gao Xiaowu's artworks. Having such talent in expression, enables him to make better art. Gao Xiaowu leaves me with the impression that he is perpetually smiling. He has been embraced very often by his fellow people, based on the Chinese notion that "one's face tells one's heart." His sculptural works are stylish and humorous in an exaggerated manner, with warm smiling faces classically embedded in his work. Comedy is unveiled through white-collar workers standing in Beijing's Jianwai SoHo, bowing with a wide smile in his series "The Standard Times." 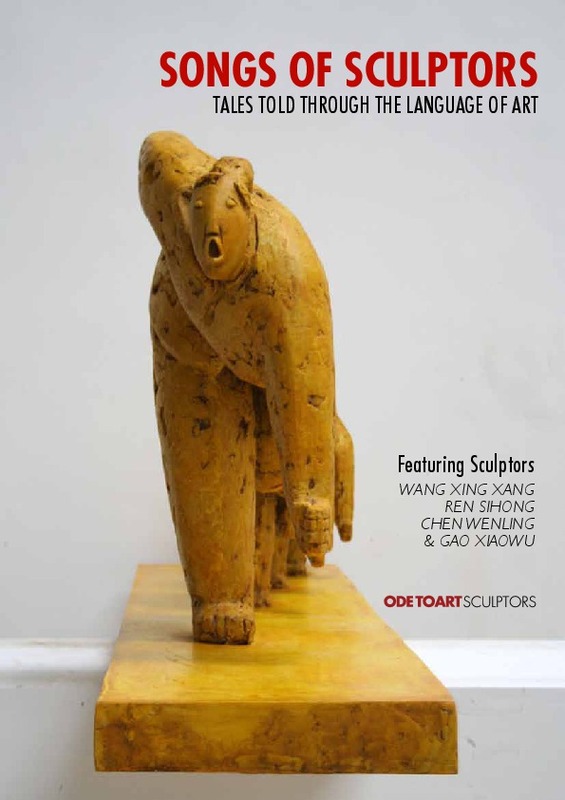 Gao Xiaowu enters the spotlight with his expression and contemporary creativity, which has been widely accepted and recognized by the art circle. The work "The Standard Times" is a physical representation of the worldwide infiltration of standardized services with the onset of globalization. These services are costly and evoke mixed feelings from an audience who view his works; although the people depicted through the sculptures are laughing, there is an inherent sense of helplessness. 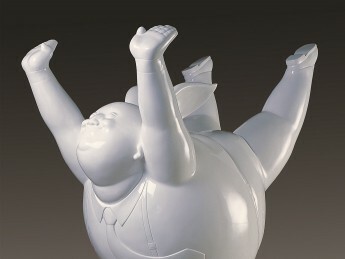 "City Dream" depicts chubby, smiling angels which are liked by many viewers. The image of a round body invoke images of inflating desires, such as how commercial advertisements float through the air, while consumers indulge in helpless and uncontrolled desires for the material. The gigantic bodies which are heavy in weight express an eagerness to fly with their tiny wings, creating a clash between the material and spirit, ideals and reality; in an attempt to showcase the subversive paranoia by his ironic and humorous expressions. It gives a flavor of cynicism. If we are to say that the works "Post Standard Times" and "City Dreams" are signifiers of Gao Xiaowu's "inward emotions," these actually stemmed from his earlier creations in school, which then evolved into contemplations on society. His later works "Our Generation" and "Fell Asleep" signify his transition in expression into a "mood of youth" with contemplation of a generation of future fashion, cartoons and animation. The style of cartoons and animation aim to inspire and revive the imagination of the audience by throwing away the spiritual remains of contemporary art left in history and targeting the future. The conceptual metaphor and cartoon images embedded in Gao's work have a strong message and are full of characters one can find in this era of time. Details of time emerge from his work's surfaces, defining historical waste with ironic and joyful humor in an era full of a sense of collectivism. In "Our Generation," the artist uses the body language of youths rather than an exaggerated expression to highlight the dilemma of contemporary languages, brought up by one's own cultural roots and globalization under the governance of western discourse power. He intends to evoke a rethinking of the role of education his generation has received. In "Fell Asleep", the richly colored images were depicted with a tinge of paranoia, showcasing the detailing of different situations of people from a great variety of social classes, i.e., the image of one's head surrounded by lots of meaningless saliva out of his or her mouth, constructing colourful clouds in a floating and dreamy way. Is it creative? Or addressing the future? Or an avoidance of the present situation? 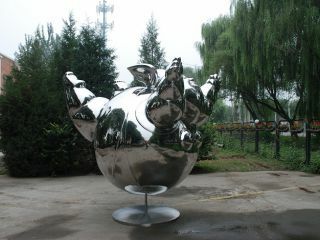 The work "Fell Asleep" is a new mirror to depict childlike China. Gao Xiaowu was born in Datian, Fujian Province of China. Honesty and purity are two characteristics often found, due to his cultural and geographical background. The characteristics of nature and honesty are popular in his hometown, and noise and restlessness in an urban life is portrayed in contrast. Gao Xiaowu has tried always to retain a balance between the two. One can tell from the title "Our Generation" that Gao Xiaowu possesses a sense of self-identification which is different from those artists born in the 1960s or '70s. The artists born in those periods of time often felt unsure about their own identity, and one can find a sense of "angry youth" in them. The artist instead focuses on the aesthetic needs and feelings of the new-generation artists born in the 1980s; his work reveals this rational thinking. Thus, the unique style the artist has developed through his work is mild but not classical, showy but not cheesy. As contemporary art is renowned for its radical and critical nature, the fun shown through Gao's work has allowed our viewers to experience art by "swimming in the games of art" in a contemporary sense.